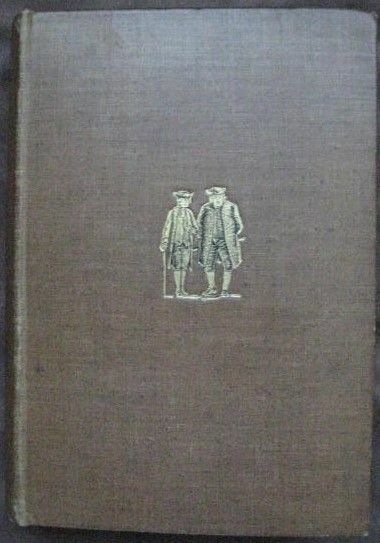 Limited edition hardback of the Life of Samuel Johnson, published by G Bell and Sons Limited in 1930. Number 146 of 350 copies printed. Signed by the illustrator Ernest H Shepherd, who illustrated the Christopher Robin/Winnie-the-Pooh books. 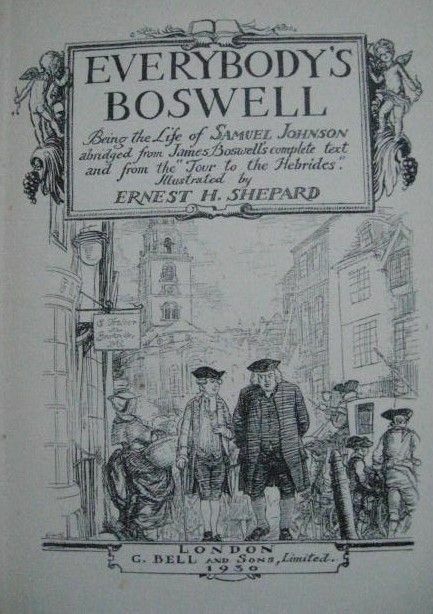 Limited edition hardback of EVERYBODY'S BOSWELL (Being the Life of Samuel Johnson) by James Boswell and published by G Bell and Sons Limited in 1930. Large paper edition. Gilt top page edges, other page edges untrimmed. Number 146 of 350 copies printed. 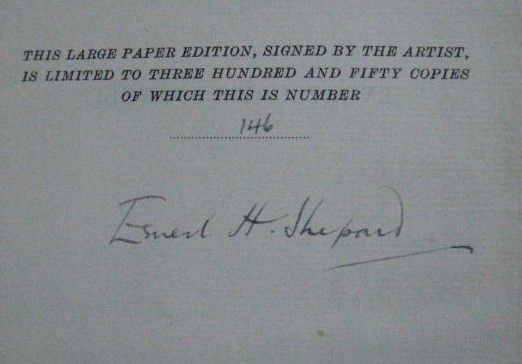 Signed by the illustrator Ernest H Shepherd, who illustrated the Christopher Robin/Winnie-the-Pooh books. Ex Libris plate to front pastedown. Long birthday gift inscription to previous owner from 1939. The book is in very good- condition (brown cloth boards with faded gold lettering to spine and gold and black motif to front board) with some minor bumping to corners, darkening to rear board plus other general light handling and storage wear commensurate with a book that is nearly 90 years old. Internally, the pages are clean and tight with very little evidence of ageing and there are no tears and no other inscriptions other than those mentioned above. 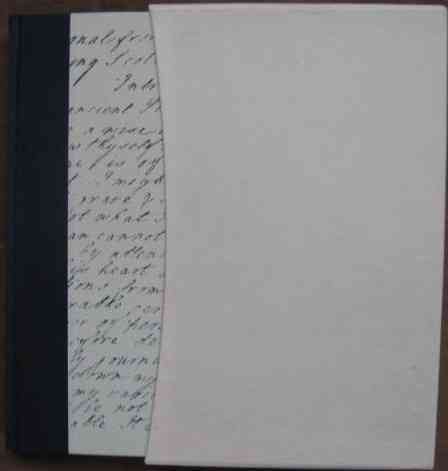 There is no dust jacket. Widely regarded as the greatest biography written in the English language, the Life of Samuel Johnson is here abridged from Boswell's complete text and from the "Tour to the Hebrides". 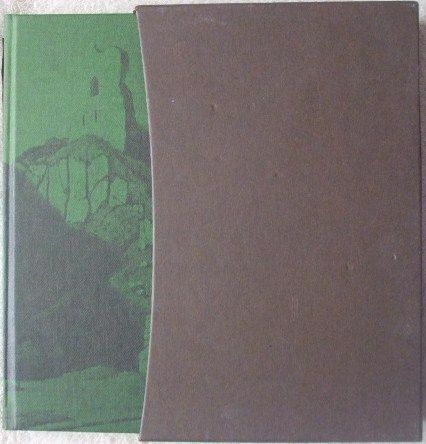 608 pages including Index, plus several pages of prelims and Introduction, list of illustrations etc, 54 illustrations with tissue guards and map illustrating Tour to the Hebrides inside back cover.